Kevin Cosgrove, Lakeside, 2016, oil on linen, 160 x 200 cm. Courtesy of the artist and mother’s tankstation. In response to The Irish Times’ ‘Your Favourite Artwork From 2016’ voted by readers of The Irish Times. The people have spoken. It’s them boats down in lock-ups, not bobbing or floating or out on the lough, but the ones who’ve been held up on blocks. Not moored. Not docked. Not going out or not yet got back. No, they’re not finished. And yes maybe some of them were washed up. But in the right light now with a nice long look down, oh well, they come up a fine sort of prosperous. That peening sound! Standing tall as the sole property and handiwork of perhaps only just the one man. How a lazy Sunday becomes a way to come to terms with the lost generations, whose swell keeps the rope feeling for life. Yet it’s nothing that a photo couldn’t capture ‘post-truth’ with a snapchat, like! In a painting, the reflections that we make, we let go of because we can. A glass perspective lapping half full as half not, it takes time to tell from afar. But up close, it is a personal thing, an item which forms soft memory. Only a paint can, knocked at the time of application could stop us seeing what’s true and what’s else. This whole island is in need of restoration and it’s not only the painter who sees it. We all do, with a little help. Here in these paintings the light shines through, and in this light the paint projects falsely. So that peening sound is a banging door when the hammer has been left down. The real material is people’s hopes and dreams made raw. 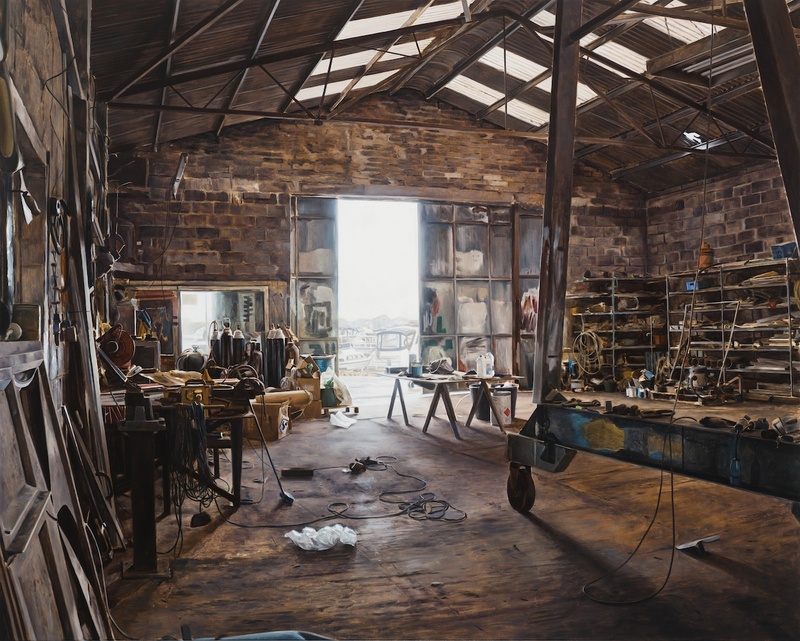 Kevin Cosgrove, ‘A Peening Sound’ at the Butler Gallery, Kilkenny, 29 October – 18 December.